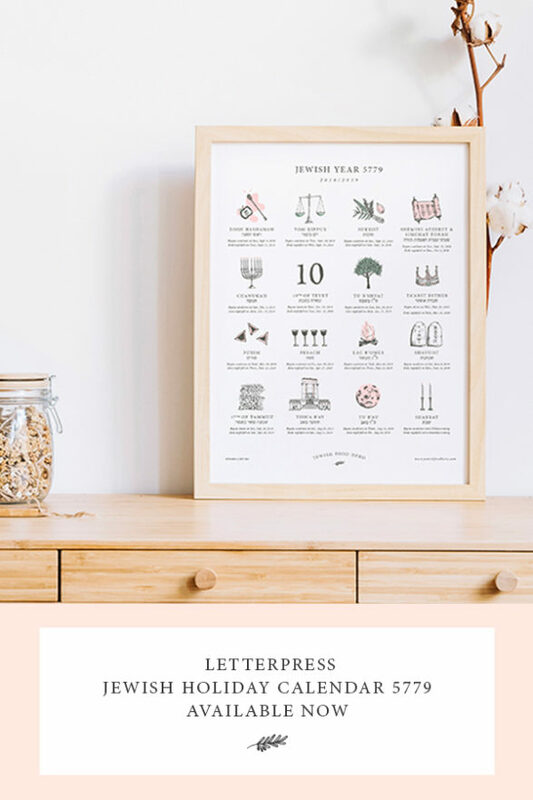 The annual letterpress Jewish holiday calendar 5779 is available now until July 18th. If you’re doing a Google search every time you want to find out the exact dates for this year’s Jewish holidays, writing them in your paper planner, or entering them once into your electronic calendar, the holidays can feel out of sight, out of mind. You’d love to have a beautiful Jewish object in your home that makes you feel proud of your heritage—but you haven’t found anything that delights and inspires you. This calendar is where beauty and our Jewish traditions connect.